Are you a fan of Lamborghini car’s design? 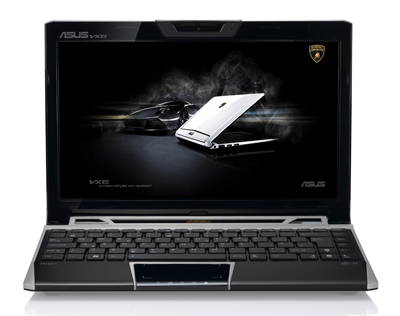 Now, check out this stunning ASUS-AUTOMOBILI LAMBORGHINI Eee PC VX6 inspired by the Lamborghini Murcielago LP640 roadster. I can say that this laptop is one of the best laptop I've seen in the market today. 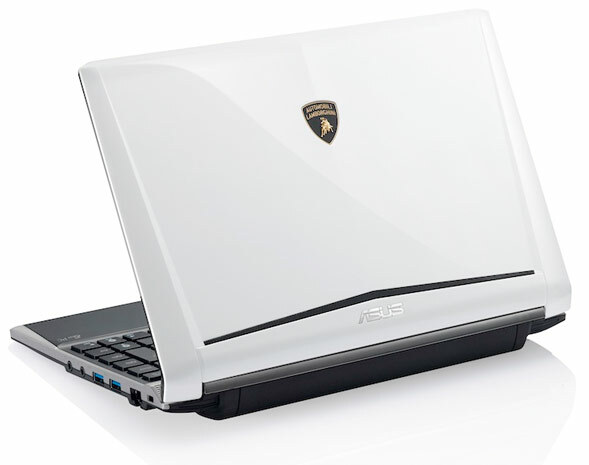 Greatly designed and loaded with high specs components. 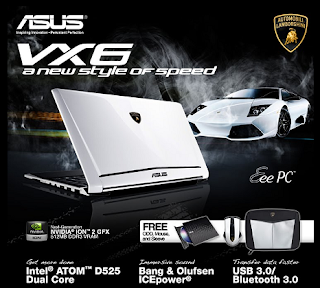 “The epitomes of elegance and power fuse are in perfect harmony” as VX6 was being dubbed in many reviews. render high quality graphics for multimedia experience. VX6 can deliver exceptional graphics performance for great visual or multimedia experience. Capable of smooth, crystal-clear playback of high definition videos in 1080p on its 12-inch 1366 x 768 HD widescreen display with the 16:9 display ratio and also perfectly decodes H. 264, VCI and MPEG2 while HDMI produce full HD 1080p playback on wide / large screens. The USB 3.0 ports could transfer data 10x faster compared to USB 2.0, built-in 1.3M Pixels webcam ensures you can video chat with friends easily, while Wi-Fi 802.11n* and Bluetooth 3.0* ensures that you’re well-connected even when you are on the road. 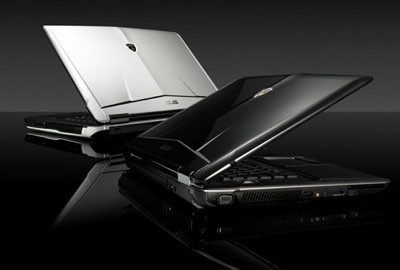 * Next Generation NVIDIA® ION™ discrete graphics with NVIDIA ® Optimus™ Technology offers both better graphic performance & long battery life.